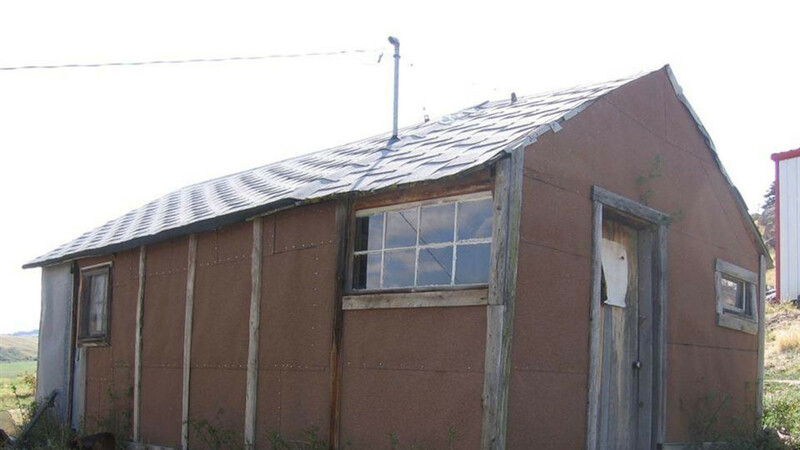 Two rustic cabins accommodating 2 to 5 people are available, each with a wood burning stove/cookware and outhouses. No running water. Bring your sleeping bag/air mattress to roll out on the bed frames. There is a possibility of hearing elk bugling in the early morning of the late summer months as you wake up in the cabin. If you are the adventurous type you can pitch your tent and experience even more of the sights and sounds of nature. Come for one night or stay for a long weekend. Request home cooked, western meals when you make your reservation 2 or more weeks in advance. However, bringing your own food will save you money. Couples seeking a true frontier experience can spend the night in our authentic, refurbished sheep wagon. These unique wagons were the home for sheep herders that tended their flocks in the early 1900's. 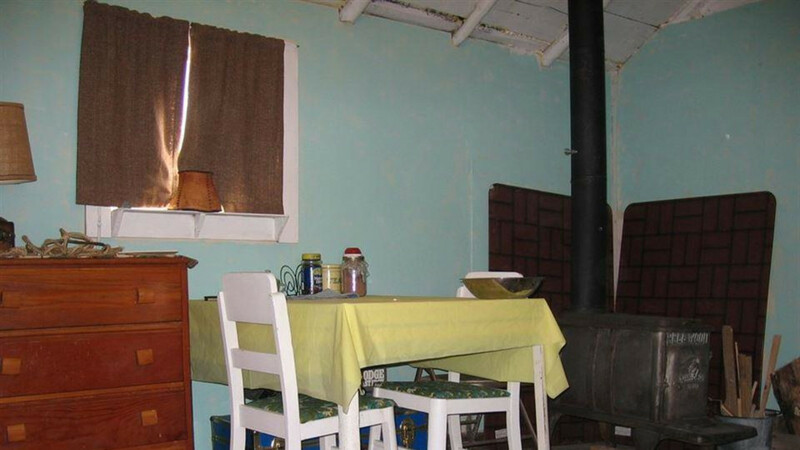 Featuring a full bed, wood burning stove and table. Isn't it time to get off the beaten path? Come visit a historic cattle ranch and experience 1886 ways up to the present. 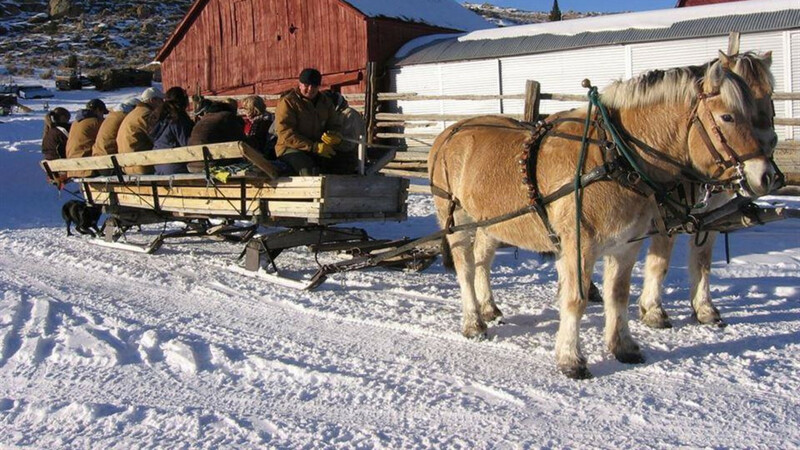 Enjoy horse drawn wagon, buggy or sleigh rides, ranch tours for kids of all ages, scratching hens, crowing roosters, and cow milking. We also have birdwatching, fishing and hiking/cross country skiing. Come photograph the scenic mountain vistas, wild flowers and wildlife such as elk, deer and antelope. During the months of July and August elk are more likely to be seen on a wagon ride in late afternoon and early evening. 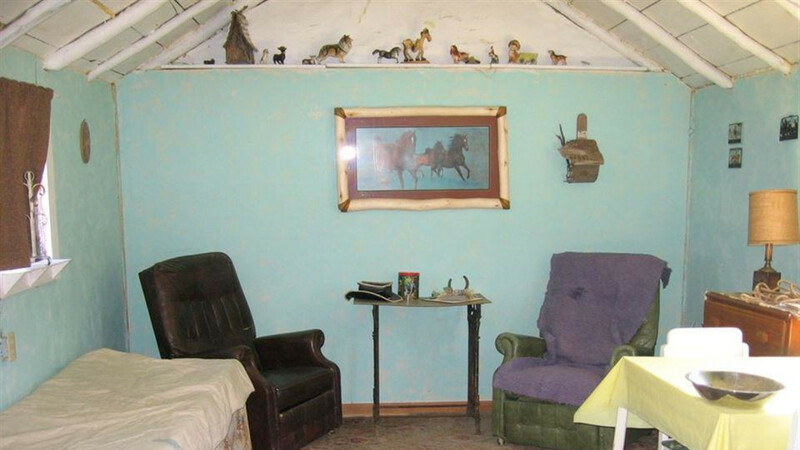 If quiet is your quest - spend the night in a rustic cabin near a trout pond or spend a honeymoon or anniversary in a sheep wagon complete with the music of the coyote to lull you to sleep and the crowing rooster to wake you up in the morning. We are sure you will go home with wonderful mountain memories. Our buggies and sleighs were originally used in the early 1900's and have been restored for your use today. We have a variety of options to choose from depending on the time of year you visit us. Horse drawn tours of the ranch can be for one to ten people at a time and can be as short as an hour or as long as four hours. Each tour can be individually planned for your family. Have fun on a wintry sleigh ride or ride our wagon on the original two track road as you enjoy the mountain wildflowers. Evening rides offer spectacular sunsets. Children will enjoy watching the chickens, ducks and baby calves as they wait for the horses to be harnessed. Every horse drawn ride includes a narrated tour of this historic working ranch.